The Fujifilm Fujinon XF 56mm f1.2 R Lens is a fast f1.2 lens with a focal length of 85mm that delivers stunning background bokeh which is ideal for portraits. 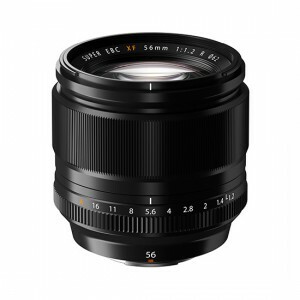 The XF 56mm F1.2 R Lens has been made to be comfortable when in use and has a premium and classic lookto it. Damien Demolder has just reviewed the 56mm for Amateur Photographer magazine and has scored it 4/5 stars. “The Fujinon XF56 f1.2 R is an interesting lens and Fuji is sure to do well with it. It is an important focal length for establishing oneself as a serious camera brand, because it is one that ‘serious’ photographers will want to use – and it has the kind of gaping wide aperture that gets attention and people talking. View the Fuji 56mm F1.2 Lens here!